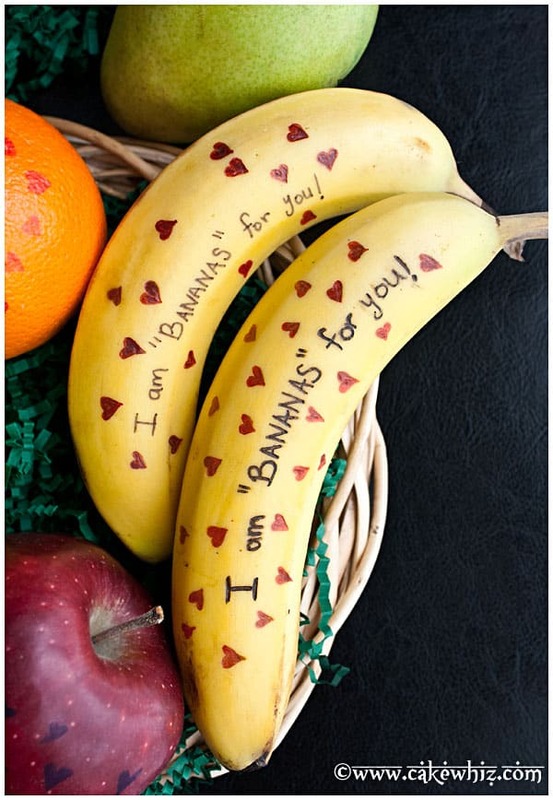 Learn to make cute Valentine’s day fruits with messages by using edible markers. 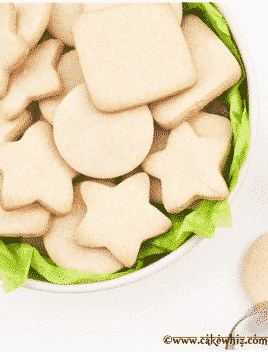 Great for adding into kids lunch boxes and brightening their day. 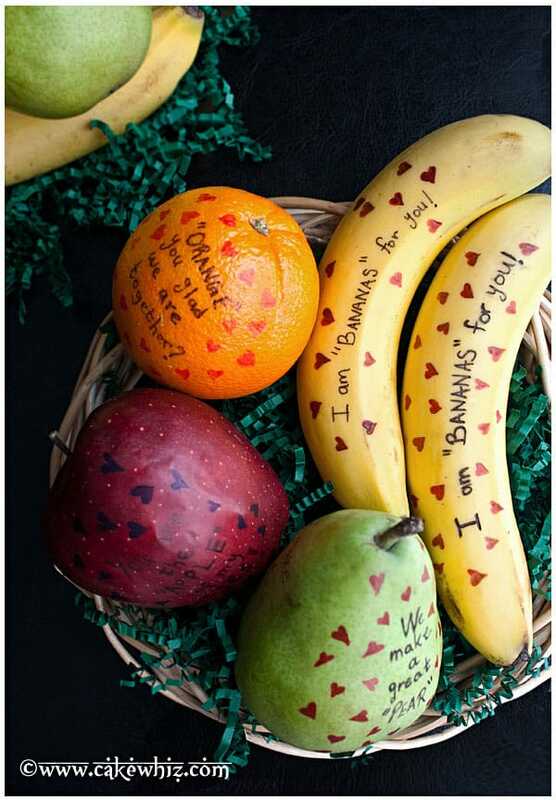 I made these Valentine’s Day fruits with messages after seeing some fruits on the web that had adorable printables attached to them. Since making printables is too much work and I an kinda lazy (lol!) 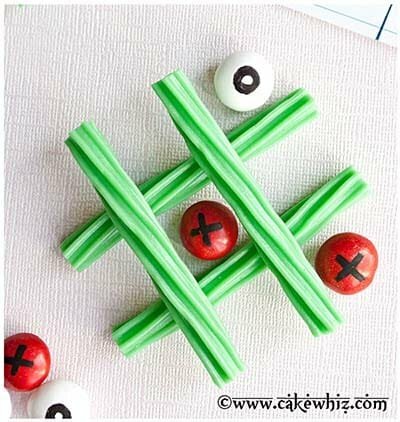 , I took the EASIER route and grabbed my edible markers and simply wrote on the fruits! 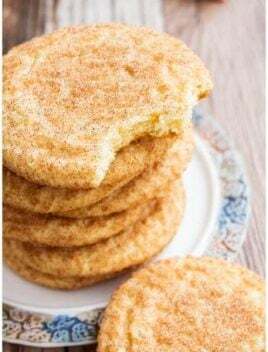 You can add these fruits into your kids lunch boxes or even hubby’s lunch bag. 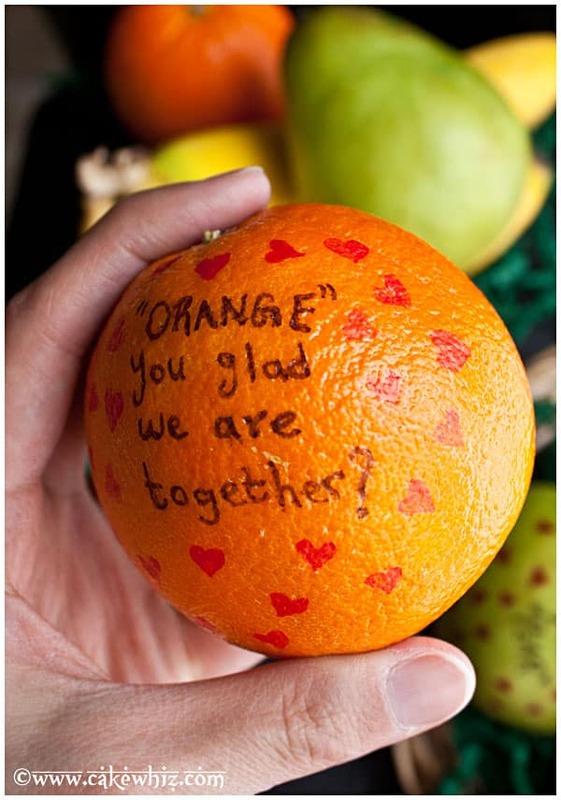 Can you imagine the looks on their faces when they open their lunch boxes and see these CUTE Valentine’s Day fruits with messages?! 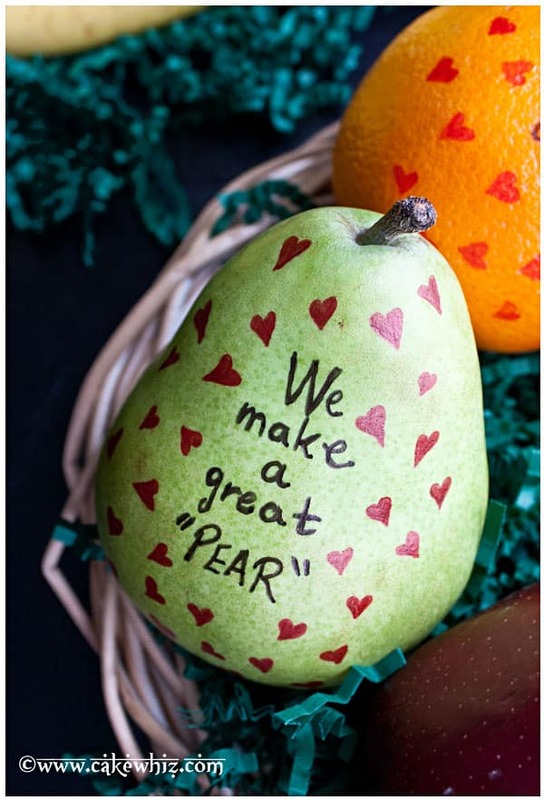 My FAVORITE Valentine’s Day fruits were these pears! 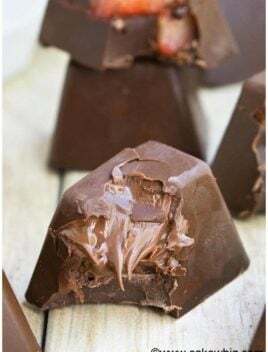 They were also not as waxy as the other fruits. 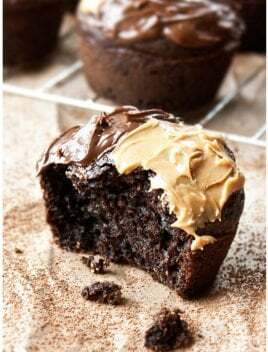 So, writing on them was very EASY. Writing on these bananas was also quite easy and I think the message on them is the CUTEST! And my little one had a blast writing on them too… Well, more like scribbling…hehe. It kept him busy for a full 15 minutes and that’s a miracle…lol. By the way, I tip my hat off to people who photograph fruits coz I found it quite CHALLENGING. These oranges were especially DIFFICULT to photograph. They were moving around on their own will… I had to tape them down so they would stop wobbling! hahaha. 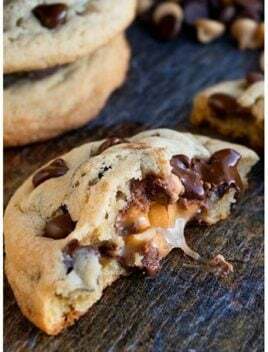 Also, they are covered in a nasty waxy substance, which REFLECTS so much light. Even after washing them a few times, I COULDN’T get rid of all that icky wax. When I bought these red apples, I didn’t realize I was going to use a black edible marker to write my messages. 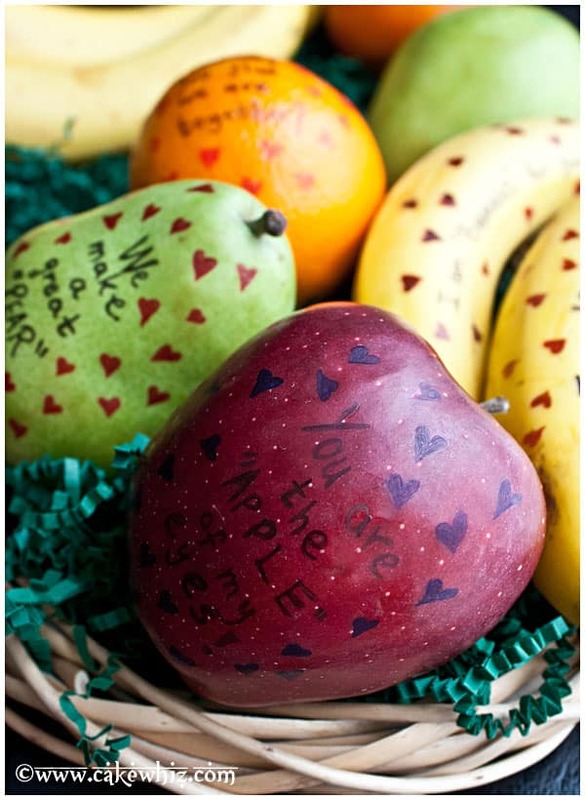 So, if you will be writing messages on apples, I SUGGEST you get yellow or green apples and use those as your Valentine’s Day fruits. Wash all your fruits and dry them properly with a small towel. 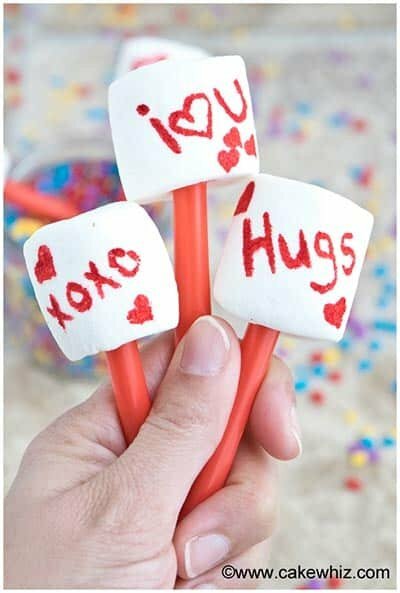 Use a red edible marker to draw little hearts around your messages. 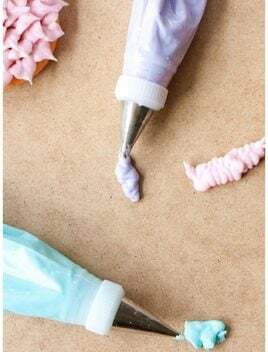 Where do you buy the markers?? I get them from Amazon.